All photos courtesy of Le Pigalle. 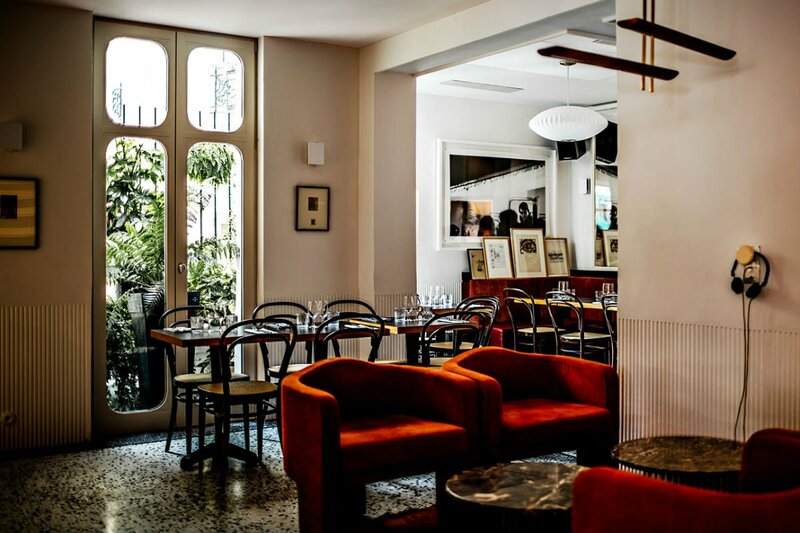 PARIS – Pack a low neckline for a stay in Le Pigalle, the boutique hotel inside a 19th-century neoclassical building that acts as epicenter for lust-obsessed Paris. 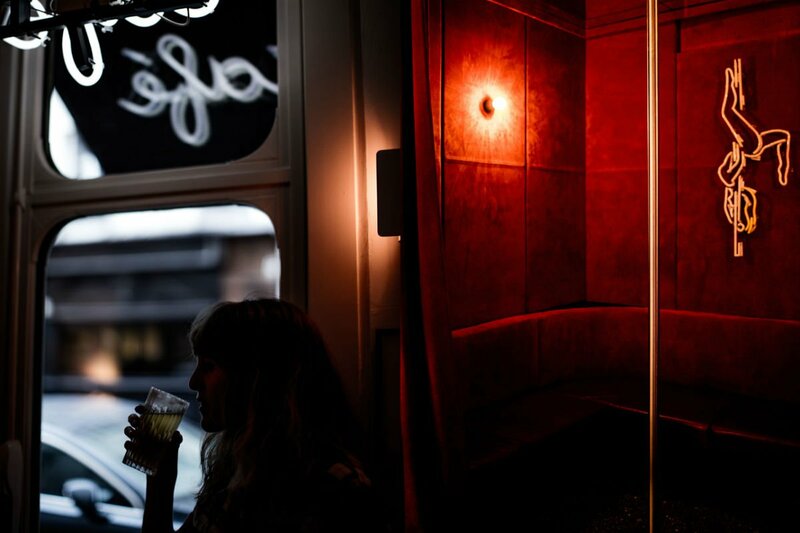 Set in the former red light district between the 9th and 18th arrondissements, the hotel reflects the bold spirit and tawdry values of the historic neighborhood. The rooms are painfully cool, with artwork and ornaments that make it feel like an intimately styled Parisian pied-à-terre. With great bars and better playlists, these rooms are made for drinking before and after a big night. You won’t be able to resist giving in to Le Pigalle’s bad influence; chain smoke on the balcony as you watch the pretty people walk by, live out your heady Moulin Rouge fantasies as you kiss the boy in the smoky nightclub, then sleep away your hangover in blissful comfort as you get ready to do it all again the next night. 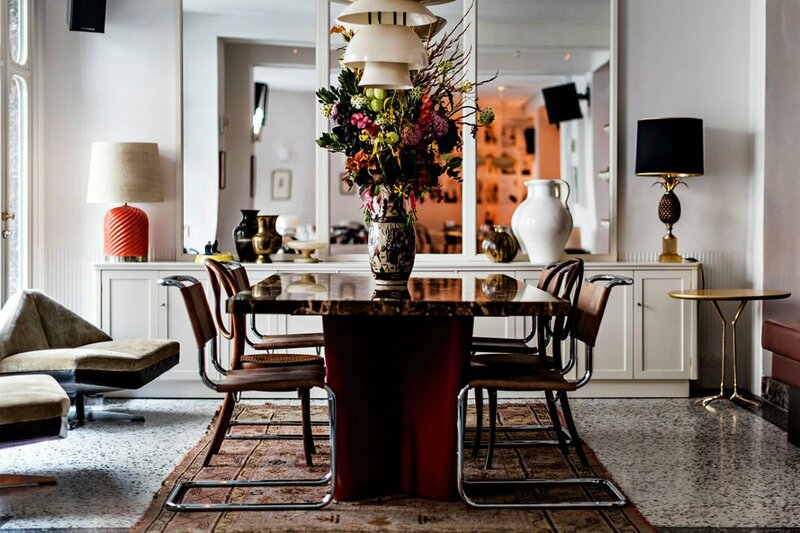 Vibe: Vintage bohemian Paris – a neutral palette and copious Art Deco poster prints and moody photography are interspersed with stylistic pops of red. Standout Detail: Deep local roots: linseed breadsticks and farmhouse loaves are delivered by bicycle from local chef ; patissier provides fresh croissants; floral arrangements in retro vases are crafted by floral stylist ; the eclectic furniture collection is sourced by vintage furniture expert . 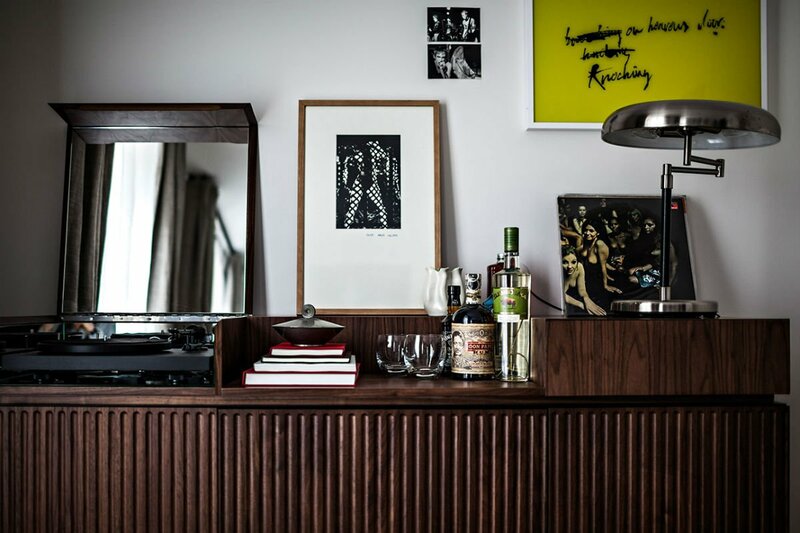 The hotel has collaborations with a newspaper seller, photographer, and mixologist, all with a local connection, and the place hums to the beats of Frehel and Satie, Django Reinhardt, and 1990s hip hop, a playlist designed by neighborhood vinyl freak . This Place Is Perfect For: Urban bohemian travelers looking for an anonymous, grown-up escape. Rooms: 40 rooms, ranging from dorm-style bunk beds to one master suite. Extensive alcohol options in the mini bar, including locally bottled cocktails, and neighborhood chocolates and toffees. Each room has a high-quality sound system with a personalized music selection; rooms 21 and 22 as well as the suite also have a turntable and private vinyl collection chosen to reflect the spirit of the neighborhood. Pamper yourself in a claw foot tubs with toiletries. WiFi is free throughout the hotel. On Site: A ground floor meeting space feels like a local collective – combining a bar, café, restaurant, vinyl library, and newspaper kiosk run by locals. The basement lounge features an original jukebox unearthed during renovations. Guests are invited to browse the music collection and experience a unique underground music scene when the space isn't hosting local DJs or pole-dancing demos. Food and Drink: Young local chef Camille Fourmont likes to think of herself as “flavor assembler” and has crafted a menu that relies on piecing excellent ingredients together. 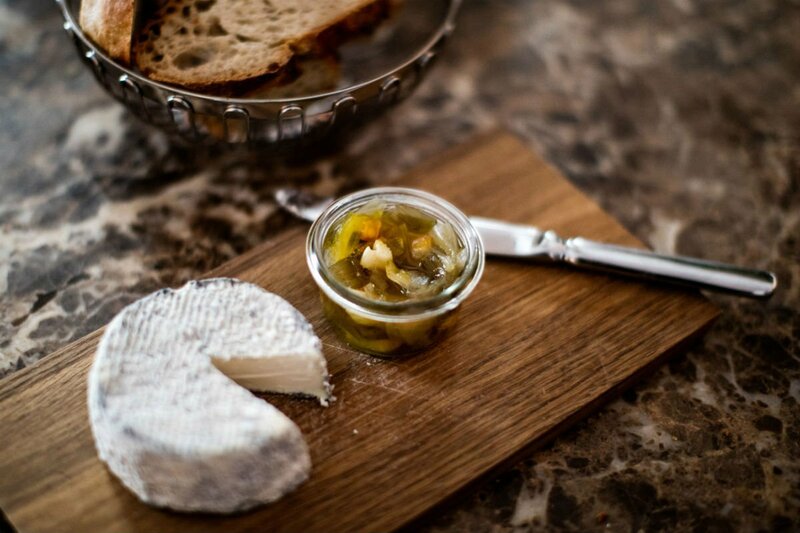 Flavorsome pantry staples from local producers – jams, terrines, pickles, and preserves – feature alongside seasonal produce for simple dishes with a distinctly local flavor. Available from the ground floor restaurant and through round-the-clock room service. Rates change seasonally and typically start at $160 depending on the room type. . Or get in touch with the Popupla Travel Concierge, and we can plan your trip for you. Pigalle still feels like an artisan village, and for a neighborhood so well-known for its nightlife there's a great shopping and cafe culture too. For a hangover-friendly breakfast, you can’t beat , a Parisian offshoot of the popular NYC venue of the same name, with charming flea market decor and a classic French cafe menu. Take a stroll to , a good source of vintage and vinyl, or hit up or to amp up your Parisian wardrobe. Come early evening, Pigalle’s bar and restaurant scene is focused around the intersection of Rue Victor Massé and Rue Frochot, but if you’re overwhelmed with choice, give a try — the kitschy neo-Tiki bar has reasonably priced, creative cocktails. After a few drinks, catch a show at , the music hall that put Pigalle on the map, and admire the iconic red windmill. Keep your night going at , a cocktail mecca-dive bar-dance club or dance until dawn at . Danielle is an editorial intern at Popupla from Perth, Australia. You can find her on . She travels for the summer.